I'm convinced that every person is in an epic search for significance. Sure, many people attempt different strategies, different avenues, different religions, different relationships to find it---but somewhere at the root of it all, is this desire to be significant or find purpose for our existence. Consider Ephesians 2:10 "For we are God's workmanship (his poem, work of art, masterpiece) created in Christ Jesus to do good works, which God prepared in advance for us to do." If there is a God (I believe there is), and if he really did prepare a work for us (something general for humanity and something specific for individuals). Then is seems obvious that aligning our lives in such a way as to accomplish that work or plan would be the only way to fully satisfy our need and desire for significance and to live a life that really matters. Conclusion: If you desire significance, and I know you do, you will only find it in living your life accomplishing the work he prepared for you to do. No other way! Application--I won't leave you hanging! Logically, next you would ask--How do I know what that "prepared work" is? FIRST: God's Word will reveal some "general things" God has prepared for every one of us to do. So dust off that book and go digging! They will begin to fly off the pages if you are looking. SECOND: (from Craig Groeschel's book Chazown) Here are a few diagnostic questions to get you started moving toward the discovery of that "work he prepared [you personally] to do"
What do you secretly believe you can do but have never tried? What makes you mad on God's behalf? What do you do that has a significant impact on others? What might your past have prepared you to do that you couldn't or wouldn't do otherwise? 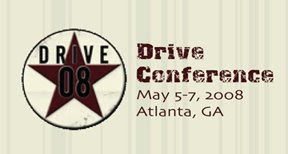 Back in 2002 Rick Warren, came out with a book called the "Purpose Driven Life." This book literally flew off the shelves selling well over 25 million copies by 2006. Apparently peo ple are hungry to make sense of their lives on this earth...to find purpose! The first line of the book, cuts to the chase by saying, "It's not about you. The purpose of your life is far greater than your own personal fulfillment, your peace of mind, or even your happiness." I had an interesting thought today as I read Galatians 6:10. It says "...as we have opportunity let us do good to all people, especially to those who belong to the family of believers." My thought is this, the "Church" (that is all of us believers and local expressions and assemblies of believers) needs to re-read the first line of Warren's book and apply it. I wonder what would happen in Charlotte if every Pastor and Church realized that statement as truth and began to live it out? Pastors--It's not about you! Churches--It's not about you. There is something greater at risk than the construction or preservation of our own private empires! Trust me, I know that it's simple to say, yet due to the texture of our culture and because of the ego's of men, it is much tougher to practise. Make no mistake, I know this because I fight that battle too. But I do long for the day when the pastors and churches in our city raise up a unified banner that promotes Jesus. When that happens I think our city will stand up and take notice!! Our current series Starting Point is simply a "must experience" event. 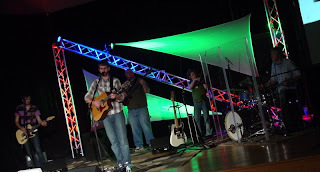 Check out this video teaser of what we will be experiencing this weekend at Ridge Church. If some one comes to mind as you watch this that is a good sign that you need to invite them to come with you. See you at the Levine Center, in Matthews at 6PM this Sunday! Click here for directions. 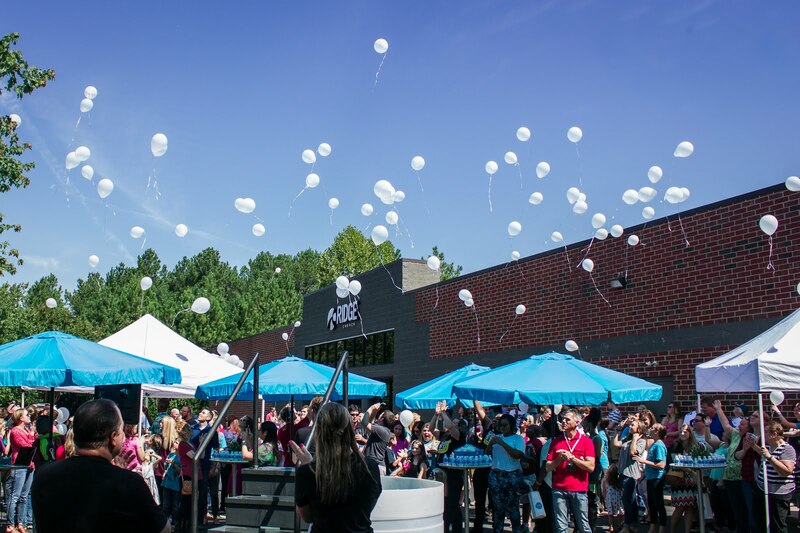 Ridge Church began a new teaching series this weekend called "Starting Point." In typical Andy Stanley fashion, he tackled an issue that has historically been one of the most complicated and potentially confusing subjects in Christianity...but he did so in a manner that was simple and crystal clear. Go here to listen to it if you missed it. He is truly a phenomenal communicator and a great leader. 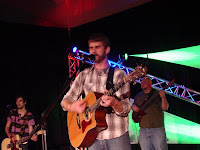 Josh Via did a great job leading the band, and leading us in worship. He always does! Rhett jumped in an d did a great job with back up vocals last night as well. Great group of musicians on stage last night. I had a meeting today concerning facility stuff, and will likely have a few follow up meetings this week. In short, we are hopeful about making the move sometime soon to become a church that meets consistently on Sunday Mornings. I know many of you are excited to make that transition. We feel like this will give us a greater platform to bless the people of this city with the love of Jesus. That is one of the things we long to do. Consistent generosity financially will really help pave the way for us to make this move so sign up as a vision partner if you haven't already done so! 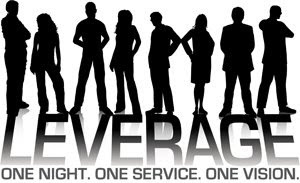 Each of our current vision partners have simply committed to: "Prioritize people's eternity above convenient lifestyles, by giving generously." The people of Ridge are truly a phenomenal group of people to be associated with! Thanks for making this such a great church to pastor. There is nothing that we at Ridge celebrate more or value more than seeing people get connected in community groups. My wife and I started a group back in February. Only two of the couples really knew each other prior to group, but you would have never guessed that if you had been a spectator in our group last night as we met. We are completely relaxed and pretty vulnerable with each other, and we are only a few short weeks into the jouney. We closed the night with a simple question: "What do you hope to gain from this group?" The responses varied slightly but they all carried the same theme. I think every one of us want to know that there is someone in our corne r cheering us on. Someone that knows us and cares about our life. No one wants to turn around in the difficult times of life only to realize that No one is in their corner; To realize No one really cares; To the realize that No one took time to call because there was No one. No one wants that! On the other hand, we also want someone in our corner cheering when we succeed, celebrating with us. We want someone feeling and experiecning our joy. No one wants to celebrate alone---Yet, even though we know we need healthy relationships, and want people in our corner; many, maybe most never take the step, to place themselves in what Andy Stanley calls "Structured Relationships" for the sake of spiritual progress. Structured relationships like a community group provides. If you've been to Ridge, but haven't taken the step to be involved in a group, you should! Maybe it feels like a risk to some of you depending on your personality and previous church experience or lack of experience, but it is something every person needs! But don't wait until you feel that need, and turn to your corner to find No One.--You should consider it. If not here at Ridge--->then somewhere! 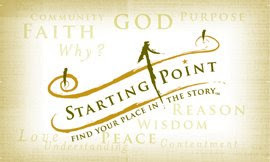 --We are starting a new series this Sunday night at Ridge Church called "Starting Point". It will be another great night, with Josh Via leading the band. If you are tracking with Ridge Church from a distance. Be sure to check in on the website on Monday to listen the the first installment in the series. 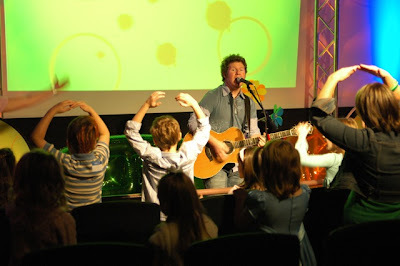 Ridge is having our first KidVenture April 5, 5-7pm at Pump It up. Here's the low down: KidVenture is an event designed to allow our elementary age children from Ridge to connect with their group leaders out side of church. Every parent will bump into this truth somewhere along the parenting journey, if you haven't already.---We all need someone involved in the lives of our children who is saying the same things about God that we are or want to be saying. Like it or not; believe it or not (I worked with teenagers for almost a decade so I've seen this! )...there will come a day when our children won't call Mom and Dad at the first sign of relational trouble or major life decisions. In those moments we all would love to rest in the fact that we have helped them establish the right relationships with mentors and peers! It is possible but doesn't happen on accident. So, as a pastor I am for this, BUT as a parent I am crazy about this idea--it is a no brainer. Click here for more information about Kid Venture or email Lauren or Patrick. Sign up to come!